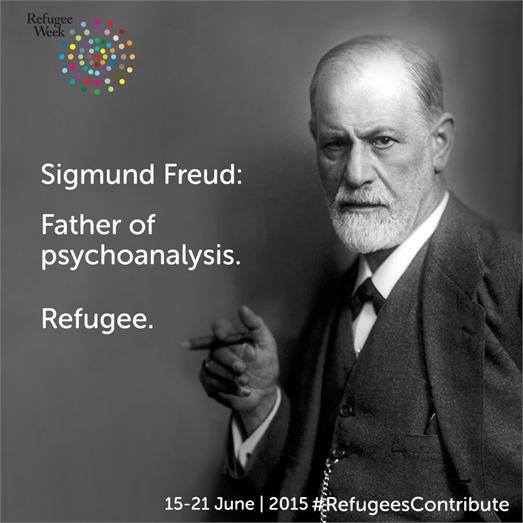 There are lots of reasons for sadness this year’s #RefugeeWeek. According to Refugee Action, there are now more refugees worldwide than ever before; one in every 122 people worldwide is displaced from their home, and someone is forced to flee every two seconds. This year, more than 1,800 people have died trying to cross the Mediterranean, and more people set out into the unknown everyday. 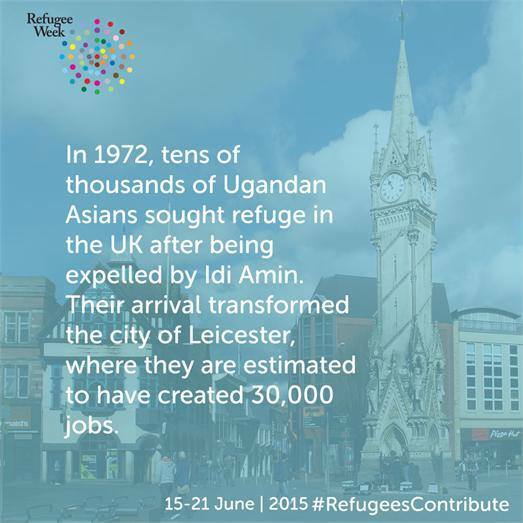 And yet the theme for this year’s Refugee Week is celebrate. Why? 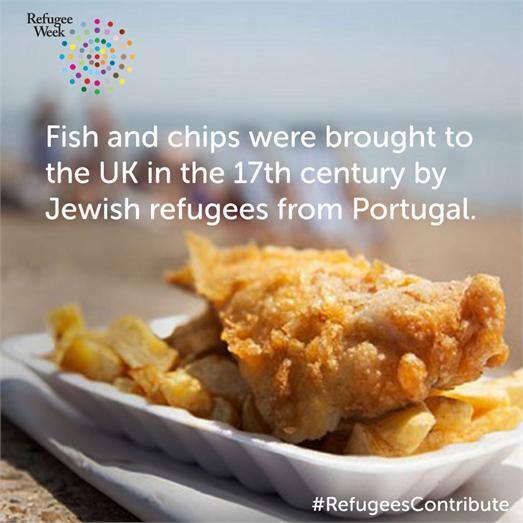 Because behind all the sadness (and behind all the media scaremongering about ‘migrants’ which cannot see the story behind a refugee’s flight) there is something else which needs to be grasped – that is, that #RefugeesContribute. 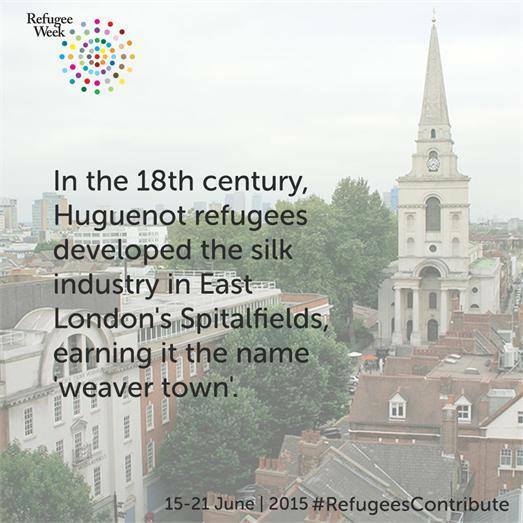 As well as these famous refugees and industries which sprang out of refugee communities, there are many thousands of refugees across the UK trying to make their new country a better place, as #RefugeeWeek shows. #RefugeeWeek in Scotland has become such a large cultural event that this year (which is also the Scottish Refugee Council’s 30th anniversary) it became a Refugee Festival instead. More than 100 events across many different mediums (theatre, comedy, film, art, music, family events, community events, discussions, workshops, etc) celebrated what a diverse and welcoming place Scotland can be. The photos from the Welcome Tent which was erected in the city centre – which can be viewed here – show how positive the messages about refugees can be when celebration (rather than persecution) is focused on. The world can be a dark place for people seeking safety at the moment, full of war and danger and discrimination. The news gets worse and worse; but that doesn’t stop refugees from finding safety, and succeeding against the odds. 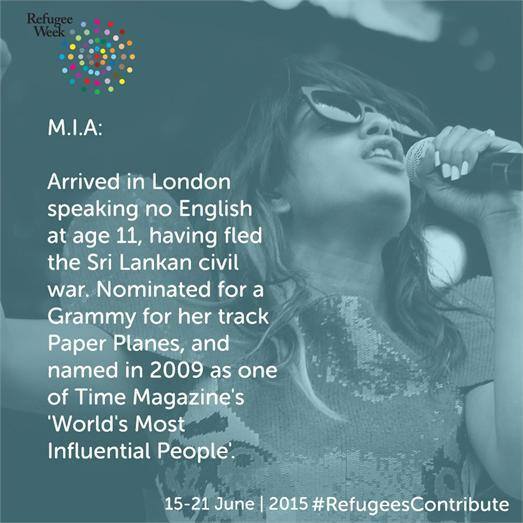 So this year, for Refugee Week, celebrate the contributions refugees have made – and think about the contributions refugees will continue to make to our country. This entry was posted in From GMA, Human Rights, Refugees by BlogGMA. Bookmark the permalink.